Recht ♥liches Danke für eure lieben Kommentare! freue ich mich, über jeden Einzelnen. You can Create a - Layout, Card, Canvas, Mini Album, "Off the Page" creations ect. Must be newly created as of 17th of Oct 2014. Enter a direct link to your creations into the link tool, not to the main page of your blog. This makes it easy to the Design Team to find your creations to leave comments. Please, leave a comment - we love comments!!!!! Zum vergrößern, bitte auf`s Bild klicken. Ich hoffe, dass euch meine Kreation anspricht. Lovely creation, love the colors and the snowman and snowflakes. Thank you for your DT Creation at Scrapping4funChallenges. 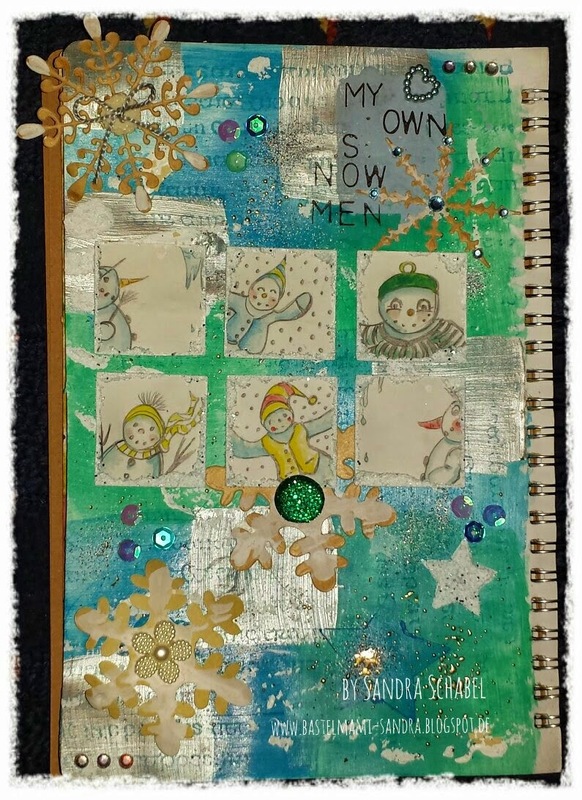 Cute snowman page Sandra! This looks like fun and the colors are very wintery.